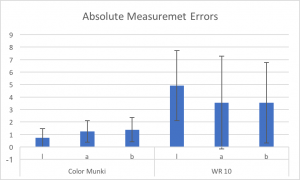 Comparison of color measurement accuracy of ColorMunki Design and FRU WR-10QC Colorimeter | Christoph Bartneck, Ph.D. 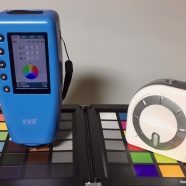 I am working on a colour project and had purchased the WR10 colorimeter to complement my long serving work horse, the X-Rite Color Munki Design. My ColorMunki is already several years old and I was concerned that its accuracy might have declined. When I measured several hundreds of samples, I noticed that both colorimeters gave me considerably different LAB values. 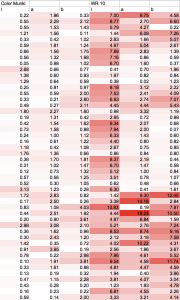 To determine which device was closer to the truth I measured the 48 defined colours of Datacolor’s SpyderCHECKR 48. I calculated the absolute error both devices made. 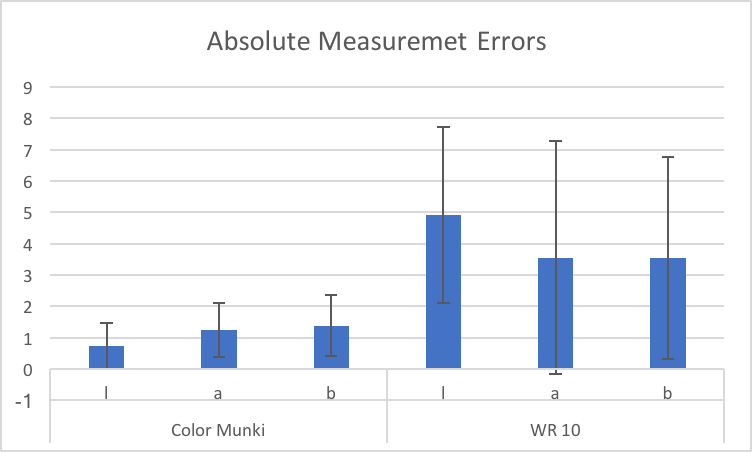 The results of a paired-sample t-test showed that the ColorMunki is producing significantly less measurement errors on L (t(47)=-9.229, p<0.001), L (t(47)=-4.590, p<0.001) and L (t(47)=-4.871, p<0.001). However, both devices measure colours that are significantly different from the target colour of the SpyderCheckr card on all three measurements. Figure 1 shows the means and standard deviation for all measurement errors. Figure 1: Mean and Standard Deviation of all measurements for both devices. There does seem to be some structure in the errors that WR-10 is producing. 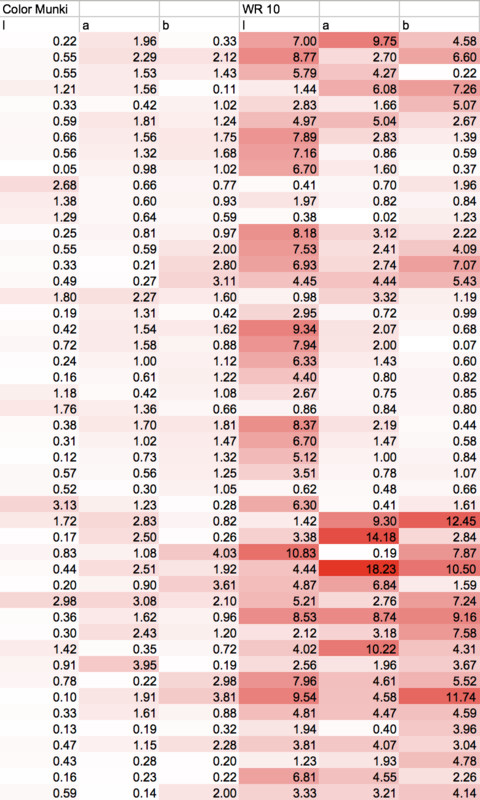 Have a look at the heat map (Figure 2). The data for my little experiment is available at the Open Science Framework (DOI: 10.17605/OSF.IO/UWEFD). Although both devices show some significant deviation from the original, it is not far off from what can be expected of devices in this price range. The ColorMunki Design produces significantly better results than the FRU’s WR-10QC.